The following oil and gas pipeline projects have been announced. Projects are in order of most recent approximate starting date. All projects are for 2019 unless noted. T.G. Mercer Consulting Services Inc. was awarded a contract by Atmos for the offloading from rail, racking and loadout of approximately 22 miles of 24-in. pipe in Wichita County, Texas. Headquarters is Willow Park, Texas. The superintendent is Michael Magee. Approximate start date: March 18. T.G. 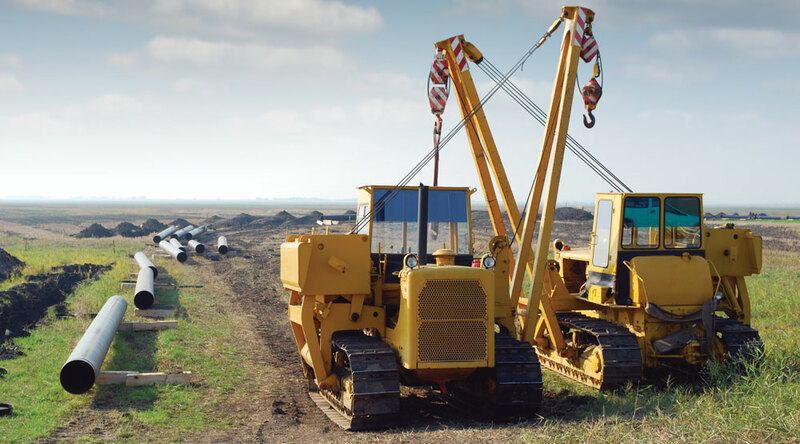 Mercer Consulting Services Inc. was awarded a contract by Evraz for the offloading and racking of approximately 38 miles of 36-in. pipe in Cass and Hubbard counties, Minnesota. Headquarters is Willow Park, Texas. The superintendent is Larry Rodriguez. Approximate start date: Feb. 17. Maxx HDD LLC was awarded a contract by Strike Construction for various 42-in. pipeline road bores in Jim Wells County, Texas. Headquarters is Alice, Texas. The superintendent is Robert Jimerson. Approximate start date: Feb. 11. Northern Clearing Inc. was awarded a contract by Precision Pipeline LLC for the clearing of approximately 10.5 miles of 24-in. pipeline right-of-way in Jo Davies County, Illinois. Headquarters is to be determined. The superintendent is Duanne Kmieciak. Approximate start date: Feb. 4. T.G. Mercer Consulting Services Inc. was awarded a contract by Atmos for the offloading, racking and loadout of approximately 14 miles of 20-in. pipe in McLennan County, Texas. Headquarters is Willow Park Texas. The superintendent is Michael Magee. Approximate start date: Feb. 4. T.G. Mercer Consulting Services Inc. was awarded a contract by Targa for the offloading, racking, and loadout of approximately 31 miles of 16-in. pipe in Gaines County, Texas. Headquarters is Willow Park, Texas. The superintendent is Michael Magee. Approximate start date: Feb. 4. Pe Ben USA Inc. was awarded a contract by Precision Pipeline LLC for the hauling of approximately 10.5 miles of 24-in. pipe in Lake County, Indiana, and Jo Daviess County, Illinois. Headquarters is to be determined. The superintendent is to be determined. Approximate start date: Feb. 3. Aaron Enterprises Inc. was awarded a contract by InfraSource LLC/Washington Gas to install approximately 1,000 ft of 12-in. pipeline via horizontal directional drilling in York County, Pennsylvania. Headquarters is York, Pennsylvania. Superintendents are Earl Travis and Glen Grove. Approximate start date: Feb. 1. Pe Ben USA Inc. was awarded a contract by Michels Corp. for the loading and hauling of approximately 20 miles of 30-in. pipe in Allegheny and Greene counties, Pennsylvania, and Monongalia and Wetzel counties, West Virginia. Headquarters is McKeesport, Pennsylvania. The superintendent is John Marnard. Approximate start date: Feb. 1. Pe Ben USA Inc. was awarded contracts by Michels Corp. for following: 1.) the loading, hauling and stringing of approximately 63.5 miles of 24-in. pipe in St. Louis and St. Charles counties, Missouri, and Madison, Jersey, Greene and Scott counties, Illinois. Headquarters are Granite City and Alton, Illinois. The superintendent is Donnie Gragert; and 2.) the loading and hauling of approximately 20 miles of 30-in. pipe in Allegheny and Green counties, Pennsylvania, and Monongalia, Marion and Wetzel counties, West Virginia. Headquarters is McKeesport, Pennsylvania. The superintendent is Jonny Marnard. Approximate start dates: 1.) Jan. 30 and 2.) Feb. 1. United Piping Inc. was awarded a contract by Enbridge to install 36” and 48-in. pipeline pressure transmitter risers in Cass County, Minnesota. Headquarters is Duluth, Minnesota. The superintendent is Joel Bailer. The approximate stating date is Jan. 29, 2018. Dun Transportation & Stringing Inc. was awarded a contract by SEMCO Energy for pipe yard preparation in Marquette County, Michigan. Headquarters is the pipe yard. The superintendent is Dane Hilsabeck. Approximate start date: Jan. 28.
be determined. The superintendent is Jack Symonds. Approximate start date: Jan. 22. United Piping Inc. was awarded a contract by BP Pipelines for cleanup response work in in Marion County, Illinois. Headquarters is on the jobsite. The superintendent is Jim Bailer. Approximate start date: Jan. 22. BigInch Fabricators & Construction Inc. was awarded a contract by Energy Transfer and Marathon for the excavation of three 1,600-ft sections 26-, 30- and 36-in. pipelines in Hamilton County, Illinois. Headquarters is Montezuma, Indiana. The superintendent is Brent Shepler. Approximate start date: Jan. 18. T.G. Mercer Consulting Services Inc. was awarded a contract by Aspen Midstream for the offloading and racking of approximately 60 miles of 30-in. pipe in Colorado and Fort Bend counties, Texas. Headquarters is Willow Park, Texas. The superintendent is Larry Rodriguez. Approximate start date: Jan. 15. Foltz Welding LTD d/b/a Continental Pipeline Services was awarded a contract by Spire Stl. Pipeline to install a new pipeline meter station containing 2- to 24-in. piping in Scott County, Illinois. Headquarters is Alsey, Illinois. The superintendent is Mike Jeffords. Approximate start date: Jan. 9. Northern Clearing Inc. was awarded a contract by Minnesota Limited LLC for clearing on approximately 97.5 miles of 10- to 16-in. pipeline right-of-way in Harrison, Carroll and Jefferson counties, Ohio; Hancock County, West Virginia; and Beaver, Allegheny and Washington counties, Pennsylvania. Headquarters is to be determined. The superintendent is to be determined. Approximate start date: Jan. 9. 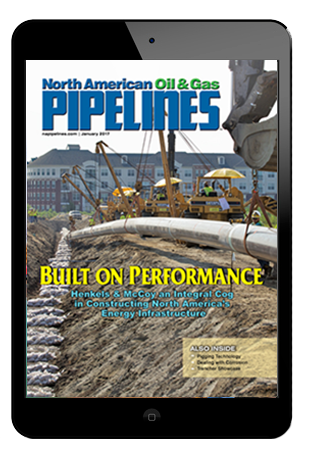 Appalachian Pipeline Contractors LLP was awarded a contract by Piedmont Natural Gas to replace a pipeline station and to install approximately 400 ft of 4-in. gas pipeline in Davidson County, Tennessee. Headquarters is to be determined. The superintendent is Anthony Campbell. Approximate start date: Jan. 7. InfraSource Construction LLC was awarded a contract by Washington Gas & Light to install 4,800 ft of 12-in. pipeline in Frederick County, Virginia. Headquarters is Winchester, Virginia. The superintendent is Jason Nash. Approximate start date: Jan. 7. Price Gregory International Inc. was awarded a contract by Duke Energy to replace a regulator and meter station and to install approximately 1,200 ft of 20-in. pipeline in Hamilton County, Ohio. Headquarters is to be determined. The superintendent is Darryl Ditterline. Approximate start date: Jan. 7. Snelson Cos. Inc. was awarded a contract by Pacific Gas & Electric for anomaly digs, hydrotesting 1,300 ft of 8-in. pipeline, two 1,200-ft horizontal directional drills and to install launchers and receivers in San Bernardino County, California. Headquarters is to be determined. The superintendent is Jeff Gregory. Approximate start date: Jan. 7. T.G. Mercer Consulting Services Inc. was awarded a contract by Pumpco for the stringing of approximately 95 miles of 30-in. pipe in Reagan, Live Oak and Medina counties, Texas. Headquarters is Willow Park, Texas. The superintendent is Larry Rodriquez. Approximate start date: Jan. 7. Minnesota Limited LLC was awarded a contract by Shell Pipelines-Falcon Project to install approximately 97 miles of a 10- to 16-in. pipeline in Harrison, Carroll and Jefferson counties, Ohio; Hancock County, West Virginia and Beaver, Allegheny and Washington counties, Pennsylvania. Headquarters is Burgettstown, Pennsylvania. The superintendents are Mike Buric and Mylan Koski. Approximate start date: Jan. 3. T.G. Mercer Consulting Services Inc. was awarded a contract by Tenaris for the offloading and racking of approximately 59,800 ft of 12-in. pipe and 55,100 ft of 8-in. pipe in Live Oak County, Texas. Headquarters is Willow Park, Texas. The superintendent is Larry Rodriquez. Approximate start date: Jan. 2. Pe Ben USA Inc. was awarded a contract from DuraBond coatings to offload from rail and stockpile approximately 61 miles of 24-in. pipe in Genesee and Saginaw counties, Michigan. Headquarters is Birch Run, Michigan. The superintendent is Gene Goff. Approximate start date: Dec. 26, 2018. BigInch Fabricators & Construction Inc. was awarded a contract by Energy Transfer to install a meter skid and 4- to 30-in. pipeline valve settings in Marion County, Indiana. Headquarters is Montezuma, Indiana. The superintendent is Jim Shepler. Approximate start date: Dec. 10, 2018. Schmid Pipeline Construction Inc. was awarded a contract by EQT to replace 12-in. pipeline launchers in Taylor and Harrison counties, West Virginia. Headquarters is to be determined. The superintendent is Lonnie Skadsem. Approximate start date: Dec. 10, 2018. United Piping Inc. was awarded contracts by BP Pipelines for the following: 1) to inspect a 2-in. pipeline in Tippecanoe County, Indiana. Headquarters is Lafayette, Indiana. The superintendent is Jim Bailer. And 2) to install a new 10-in. pipeline pump motor and two valves in Calhoun County, Michigan. Headquarters is Marshall, Michigan. The superintendent is Jim Bailer. Approximate start date: Dec. 10, 2018 (both projects). United Piping Inc. was awarded a contract by TransCanada for integrity digs on a 30-in. pipeline in Fairfield County, Ohio. Headquarters is on the jobsite. The superintendent is Joel Bailer. Approximate start date: Dec. 7, 2018. Untied Piping Inc. was awarded a contract by BP Pipelines for the inspection of 2- to 6-in. pipelines in Montgomery County, Ohio. Headquarters is on the jobsite. The superintendent is Jim Bailer. Approximate start date: Nov. 26, 2018. Pe Ben USA Inc. was awarded a contract by Strike for the loading and hauling of approximately 240 miles of 42-in. pipe in Nueces, Jim Wells, Duval, McMullen, LaSalle, Dimmit, Zavala, Maverick and Kinney counties, Texas. Headquarters are in Brackettville, Cotulla, Alice and Corpus Christi, Texas. The superintendents are Robert Colley and Trey Stokes. Approximate start date: Nov. 20, 2018. Dun Transportation and Stringing Inc. was awarded a contract by Energy Transfer to offload, haul and stockpile approximately 5 miles of 30-in. pipe in Webb County, Texas. Headquarters is the pipe yard. Superintendent is Johnny Denton. Approximate start date: Nov. 19, 2018. Earth Pipeline Services Inc. was awarded a contract by C. J. Hughes Pipeline for environmental work on approximately 20 miles of 24-in. pipeline right-of-way in Harrison County, West Virginia. Headquarters is Canonsburg, Pennsylvania. The superintendent is Joshua Roberts. Approximate start date: Nov. 19, 2018. T.G. Mercer Consulting Services Inc. was awarded a contract by Evraz for the offloading and racking of approximately 38 miles of 36-in. pipe in Cass and Hubbard counties, Minnesota. Headquarters is Willow Park, Texas. The superintendent is Mike Magee. Approximate start date: Nov. 19, 2018. Dun Transportation and Stringing Inc. was awarded a contract by Energy Transfer to load, haul and loadout approximately 15.5 miles of 30-in. pipe in Marion County, Illinois. Headquarters is the pipe yard. The superintendent is Dennis McCarty. Approximate start date: Nov. 15, 2018. United Piping Inc. was awarded a contract by BP Pipelines for 8-in. valve raising and valve cut out in Dubuque County, Iowa. Headquarters is on the jobsite. Superintendent is Jim Bailer. Approximate start date: Nov. 13, 2018.